Todays threat landscape is changing fast. We find and apply current solutions that meet your needs of protecting your data and resources. 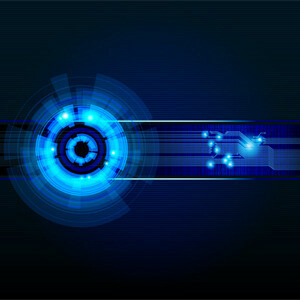 With years of industry experience we can troubleshoot and fix your technology related issues. Our friendly staff are motivated to respond quickly and effectively to your needs. Using leading edge tools, we can manage your systems and provide greater visibility into what’s going on with your network infrastructure. If you are looking for new solutions or upgrades, we can help you navigate a daunting list of options. With a solid history of established vendor relationships, we can help you get the right equipment at a price that works for you. Not all backups are the same. It’s important to do more than just back up your data. You need a Recovery Plan. We can help with protecting your data, and create a plan for recovery in the event something bad happens. Need help identifying the right solution for your company? We can help you identify your needs, refine your options, and help you implement the right technology solutions for your business. Current cloud computing options have become increasingly more available and cost effective for small businesses. We can help find and implement the right cloud solution to increase your productivity and enhance your ability to collaborate and share data. Here at C Squared, we make every effort for our clients to recognize us as an intrinsic component of their business. We seek to develop long-term relationships with our clients and we take satisfaction in our ability to recognize and recommend the best solutions for the computer-related business needs. We fully understand that the world of technology is ever-changing and frankly overwhelming. C Squared Computer Consulting partners with your team to provide the most diligent and efficient solutions to your IT problems. We work closely to ensure that your business has the tools it needs for continued growth because a problem in tech is a stunt in growth. We specialize in providing applied technology experience for small to medium businesses in our Denver-based community. Our mission is providing practical tech solutions to meet each customer’s unique technology need to continue growing their business.